Recently Steve Goodman released his “iPhone with Exchange Server 2010 – Business Integration and Deployment” book by Packt Publishing. 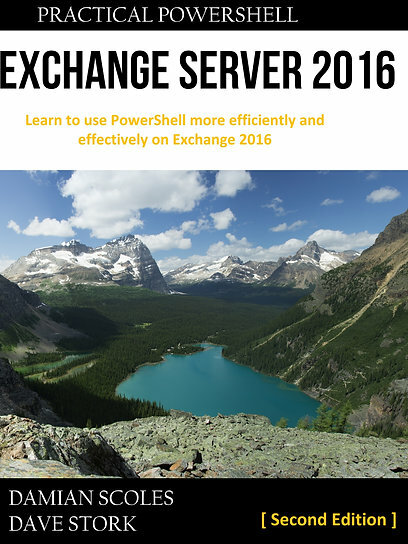 The first half of the book is a compact description of basic Exchange 2010 knowledge and the necessary configuration for iOS connectivity (even with Office 365) via Exchange ActiveSync. After that more specifics topics regarding policies, Certificate based Authentication and some specific iOS client device configuration. One chapter addresses the limitations of ActiveSync with some workarounds. Although the focus of the book are iOS devices like the iPhone and iPad, a lot (actually most) of the topics are also relevant for any kind of ActiveSync devices. It was an easy read and everything is very clearly explained. Even somewhat more complex stuff like Client Based Authentication is handled with ease. This is a very useful book for those who are confronted by users or organizations that want or need a light form of Mobile Device Management and have Exchange 2010 (or Online via Office 365). I see the specific iOS information as an added bonus. I heartily recommend it to the administrator who doesn’t have in-depth knowledge of Exchange 2010, ActiveSync and iOS devices. But even a more experienced Exchange specialist can pick up some pointers, I know I did here and there . * Disclosure: I did not receive any incentive to make this review. I did receive a digital copy of this book without cost.